The mobile point of sale (mPOS) terminals market has evolved extensively in the recent years, with POS coming a long way from its inception when it was mainly developed and used for collecting and tracking payments from customers. 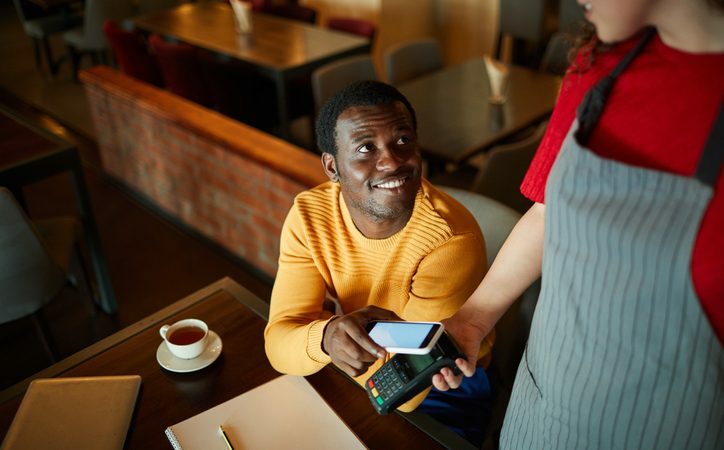 In the present business scenario, when integrated properly, mPOS and payment technology can function a potent commercial tool that not only enables merchants to conduct their businesses more efficiently but also enhances customer experience. mPOS terminals are being increasingly deployed to link management and inventory systems, present offers at checkout and even to track customer behavior, thus becoming an important component of any business that aims to succeed. In times when online commerce is posing difficulties to offline stores, mPOS can become the answer to winning back a new generation of customers who base their purchase decisions on speed and use of technology. Apparently, the mPOS terminals market is expected to register major growth trends over 2018-2024, with global shipments estimated to surpass 35 million units by 2024. The mobile point of sale terminals industry is not expected to make a significant headway through the retail industry alone. For instance, the MBTA (Massachusetts Bay Transportation Authority) commuter rail which has nearly 127,000 daily commuters on its Boston line, previously required its passengers to pay only cash if they wanted to buy tickets after boarding the train. Though only 5 to 7 percent of passengers avail such an option, considering that there are nearly 120 passengers in each coach car, conductors may often get hassled with having to carry cash. Therefore, the MBTA has recently introduced mPOS solutions to help passengers buy tickets with debit and credit cards especially in a scenario where surveys have shown that 2 in 10 millennials have made not used cash in the past year. Such instances of bringing services up to date with payment technology are not rare and have been adding a substantial boost to the mPOS terminals market. Speaking of millennials, it should be noted that the millennial generation is currently the biggest generation in the U.S. history, consisting of 92 million people. Millennials have become a driving and shaping force for various aspects of the economic landscape not only in the United States but in the world in general. Being a generation brought up with unparalleled access to technology, millennials have become one of the factors for the growth of the mPOS terminal market. The millennial generation wants seamless technology implementation and expects speed and efficiency in service which is further encouraging the retail industry to adopt mPOS terminals that can enrich the technologically inclined customer’s experience. Millennials are also becoming influencers for the older generation, so much so that their parents are also starting to access the same digital channels and increasing the demand for technology integration. As such the mPOS terminals industry has emerged as one of the greatest beneficiaries in the changing means of payment mode preferred by a generation brought up on technology. Financial institutions as well as governments are also working towards the establishment of a cashless society, a factor that is anticipated to add immense impetus to the mPOS terminals market. Cost cutting for banks is acting as a major motivator for such a move. Government initiatives such as the demonization in India are also acting to lend growth prospects to mPOS terminals market. While cash has been flowing back into transactions in India, the use of debit and credit cards has significantly increased post-demonetization and records have shown that merchants who accept card payments have increased from 1.5 million to 2.6 million with more merchants joining the trend continually. In 2018, data collected in Britain by UK Finance, a representative of leading banking and finance firms in UK showed that the usage of debit cards as the most frequently used method of payment will soon overtake cash transactions. It was estimated that the volume of cash removed from ATMs has been falling steadily with cards being used even in cafes and pubs where people usually buy smaller value items. In 2006, 62% of all payments in UK were made by cash but in 2016 the rate fell to 40% and at this rate by 2026 cash transactions will account for only 21% of all transactions in UK. Other developed nations like Canada and Sweden have also emerged as frontrunners in the move away from cash. The use of cash in transport payments has also dramatically declined with train tickets payments with cards being four times higher than by cash in 2017, as data by the Rail Delivery Group showed, which represents UK train operators. These are undoubtedly indicators that claim mPOS terminals market to traverse alongside a highly profitable growth path. The size of the mPOS terminals industry is anticipated to cross $55 billion by 2024. Paroma Bhattacharya is a content developer in the market research industry.